Rwandan Genocide survivors living in the United Kingdom(UK) have given their host country two options to prove it is a country of justice or a country that compromises its judicial tradition and international conventions it is signatory to. Urumuri, an Umbrella Organization for the Survivors of Genocide against Tutsi in UK in a statement said High Court in London should either extradite to Rwanda five Genocide fugitives who found safe haven in the country, or try them. On 28 November the High Court in London will hear the appeal of five Rwandans against their extradition back to Rwanda. 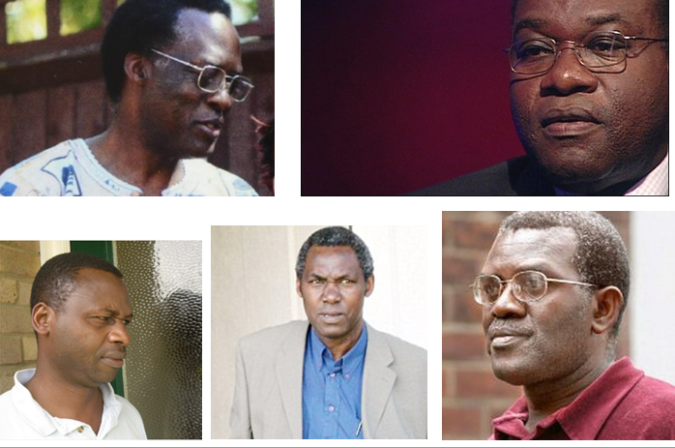 Each of is alleged to have played leading roles in the genocide against Tutsi in 1994, that left more than 1,000,000 dead in 100 days. The said suspects are still enjoying freedom in the UK. The suspects include; Dr. Vincent Bajinya Alias Brown, presently a resident of Islington, North London. 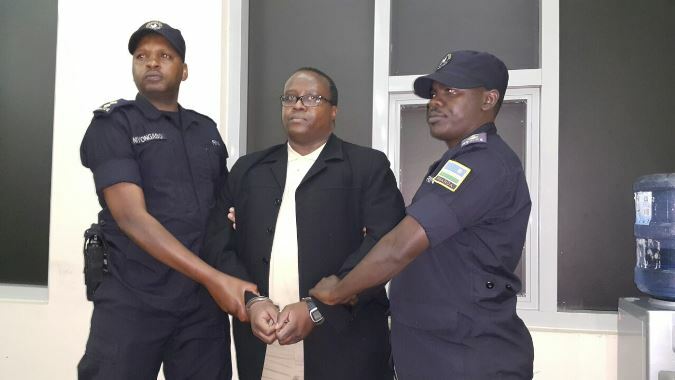 He is alleged to have been part of the powerful Presidential network that organized widespread massacres and killings of numerous Tutsis at roadblocks in the capital, Kigali, in conjunction with the Interahamwe militia. Mr. Celestin Mutabaruka, a Pentecostal Church Pastor is alleged to have worked with interahamwe militia to organize and assist in the slaughter of about 20,000 men, women and children. According to witnesses, some were tortured by having their eyes squeezed out before death. Now living in Kent. Mr. Charles Munyaneza: Former Mayor of Kinyamakara Commune in Gikongoro Prefecture is alleged to have assisted in the planning and implementation of massacres in areas where he had authority. He allegedly led attacks on Tutsi over the Mwogo River in which thousands were murdered. He was living in Bedford when he was firstly arrested. Also former colleague to Munyaneza, Mr. Emmanuel Nteziryayo will appear before court. The former Mayor of Mudasomwa, Commune in Gikongoro Prefecture is suspected to have assisted in the planning and implementation of massacres in areas where he had authority. Munyaneza is said to have personally led a militia group that organized and took part in extensive killings. After arriving in the UK, he lived under a false name (Emmanuel Nidikumana) in Wythenshawe- Manchester claiming state benefits as an asylum seeker from Burundi. Finally, Mr. Celestin Ugirashebuja, former Mayor of Kigoma Commune in Gitarama Prefecture is accused of having assisted in the planning and implementation of massacres in his commune. Instead of protecting the Tutsi, Ugirashebuja tricked them and got them out of hiding and subsequently ordered their killing. After the Genocide, he fled to UK and settled in Walton-on-the-Naze, Essex. The Urumuri statement specifies that the association “is highly concerned that, a decade after the initial extradition case against these suspects began in the UK, justice has not been done. Tracing history in the case of these men, Urumuri wrote that in 2008, a judgment by the Court of Appeal in London overturned a first trial decision to extradite four of the accused, citing fear that they would not get fair trial in Rwanda, which violates the European Convention on Human Rights. The latter however would prove UK’s courts wrong three years later. The European Court of Human Rights issued a judgment in 2011 that trials in Rwanda were fair and extraditions could go ahead. In December 2015 where the latest ruling in the extradition case made, UK’s courts maintained a position that the accused would not receive a fair trial if they were extradited to Rwanda. All the court needs to do, according to Urumuri, is to refer to precedents and take action. Their statement reads that UK based and international bodies “recognize the Rwandan legal system as both fair and competent. To support this assertion, Urumuri evoked recent extradition cases from Canada, the Netherlands and The United States, then Norway and Denmark. On November 18, Canadian immigration officials handed to Rwanda Jean Claude Seyoboka, a major genocide fugitive also linked to the inner circle ‘Akazu’ of the previous regime. Seyoboka came barely a week after The Netherlands had extradited two genocide fugitives namely Jean-Baptiste Mugimba 56, and Jean Claude Iyamuremye 38 on November 12. In September, after 12 years of dodging the long arm of justice, Dr. Leopold Munyakazi-a genocide suspect was also deported from his comfort zone in US and has already heard his genocide charges in pre-trial hearing. These are in addition to several other extradition/deportation cases and trials of Genocide suspects in countries where the fugitives have been enjoying liberty like Germany, Sweden, Belgium and France. “If the High Court again rules that the accused cannot be extradited, the UK has a duty to act swiftly to put these individuals on trial here. Failure to do so will continue to harm the reconciliation process and the long journey towards national healing in Rwanda,” reads part of the Urumuri statement. Despite giving two options however, Genocide survivors still believe, extradition is the best option. Genocide and other crimes against humanity to feel protected in the UK, a wrong message to send to the world,” Urumuri representatives said. Meanwhile, there is only one Genocide suspect who was extradited from UK, but not directly to Rwanda. Former military officer Tharcisse Muvunyi was arrested in London in 2000. He was sent to the UN special tribunal for Rwanda (ICTR) in Arusha. He was later found guilty of genocide crimes. The UN- ICTR residual mechanism is set to send the case to Rwanda. “Justice, even so long delayed, can still play a vital role in reconciliation and in easing the pain of those who survived,” reads part of Urumuri statement. Hizo story za genocide zitaisha lini !!! nini ambacho haujaelewa kwenye hiyo habari? haya itafutie tittle basi isomeke! Uonevu wa Kagame huu. Ni kwamba if you were a hutu leader of any position. E.g a teacher in a school, then interahamwe comes and kills tutsis and leave you alive, basi kwa Kagame maana yake wewe ulishirikiana nao! You are responsible for genocide! Kwa mtindo huu kila mhutu msomi, kigogo, tajiri wote ni genocidaires. Ndio maana hawa wanaokuwa extradited wote ni Dr, Prof, mayor....sad! Kweli, hawa wazee wa jenosaidi wanatuletea mambo haya haya. Akina kagame waliua sana watu mpaka sasa wanaua ndo wanaleta habari hizi kujisafisha. We mzee wa kutema sumu, toa vistory vyako vya kizushi hapa. kalale ukiamka ubadili mawazo. kwanini mnawanyanyasa wahutu? Wahutu amkeni mchukue silaha mumtoe Rwanda paka vinginevyo atawamaliza ninyi na vizazi vyenu. Wenzenu wa Burundi wameshawatuliza Watusi sasa ni kujenga nchi kwa fujo. Kina buyoya waliozoea kupinduapindua sasahivi hata ndoto hizo hawana. Once again,wahutu wa Rwanda msipochukua silaha mkaieleza dunia machungu mliyonayo,mkategemea kulialia,you are perished! Pre 1994 MOVIE....it didn't end well!! Usichanganye mambo, kesi za extradition hazichukui ushahidi wa hizo kesi zenu za kizushi zinaangalia mazingira ya mahakama za huko wanakopelekwa. Bahati mbaya huwezi kupima uhuru wa mahakama kwa nchi kama Rwanda kama uko nje ya Rwanda. Ndio maana wanaishia kurudishwa. Ndio maana ukipeleka kesi kwenye ICTR walikuwa wanaachiwa, ila kwenye mahakama za Rwanda ni lazima wawe guilty. Acha udwanzi. Kwa hiyo hao wazungu wakiambiwa tunamtaka jMali wao wanakupandisha ndege bila hata kuangalia ushahidi against you? What hole do you live in? Hivi wewe uliishia la ngapi? Sasa waanze kuangalia ushahidi upi wakati kesi iko Rwanda? Na hata huko Rwanda haijaanza kusikilizwa? Kinachoangaliwa ni whether kuna extradition treaty kati ya taifa mtuhumiwa aliko na taifa mtuhumiwa anakohitajika, plus uwiano wa kisheria baina ya nchi hizo mbili. Dwanzi mamako btw! ...Wajinga tu hawa, genocide walianzisha wao wenyewe; kwanza huko kwenye nchi za watu wanafanya nini, si warudi kwao? na wao ni akina nani mpaka waanze kui-dictate UK nini cha kufanya!